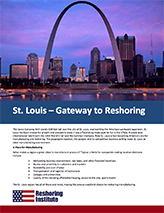 The iconic Gateway Arch stands 630 feet tall over the city of St. Louis, representing the American westward expansion. 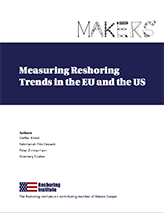 Policymakers and academics are increasingly aware of the reshoring/backshoring of once offshore manufacturing capacities, the current debate in the US and Europe is whether restoring activities help restore industrial competitiveness in high-wage countries. 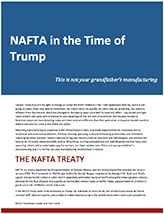 Donald Trump may win his fight to change or cancel the North American Free Trade Agreement (NAFTA), but it is not going to create many new jobs for Americans. 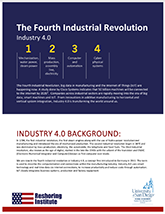 The Fourth Industrial Revolution, big data in manufacturing and the Internet of Things (IoT) are happening now. 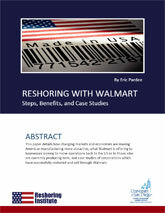 This white paper details how changing markets and economies are making American manufacturing more attractive, what Walmart is offering to businesses looking to move operations back to the US or to those who are currently producing here, and case studies of corporations which have successfully reshored and sell through Walmart. 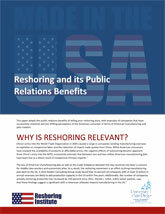 This white paper details the public relations benefits of telling your reshoring story, with examples of companies that have successfully reshored and the shifting perceptions of the American consumer in terms of American manufacturing and jobs creation. 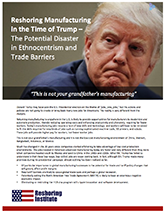 Donald Trump may have won the U.S. Presidential election on the theme of “jobs, jobs, jobs,” but his actions and policies are not going to create or bring back many new jobs for Americans. The reality is very different from the rhetoric. 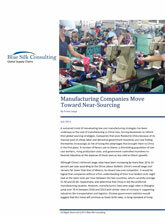 This presentation examines the current state of the U.S. Apparel Industry and explores the benefits of bringing manufacturing and sourcing back to the U.S.
Manufacturers have seen wage rates in Shanghai jump over 76% between 2010 and 2013 with similar rates of increase in supporting industries like transportation and logistics. Chinese government statistics would suggest that this trend will continue. 5 Things to Consider Now. 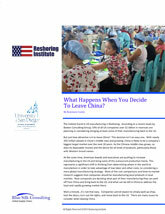 What Happens When you Decide to Leave China? 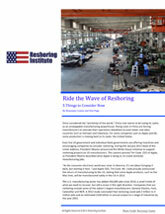 The hottest trend in US manufacturing is Reshoring. 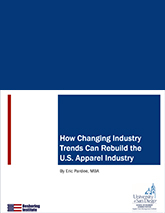 According to a recent study by Boston Consulting Group, 54% of all US companies over $1 billion in revenues are planning or considering bringing at least some of their manufacturing back to the US. But just how attractive is it to leave China? This decision isn’t an easy one.